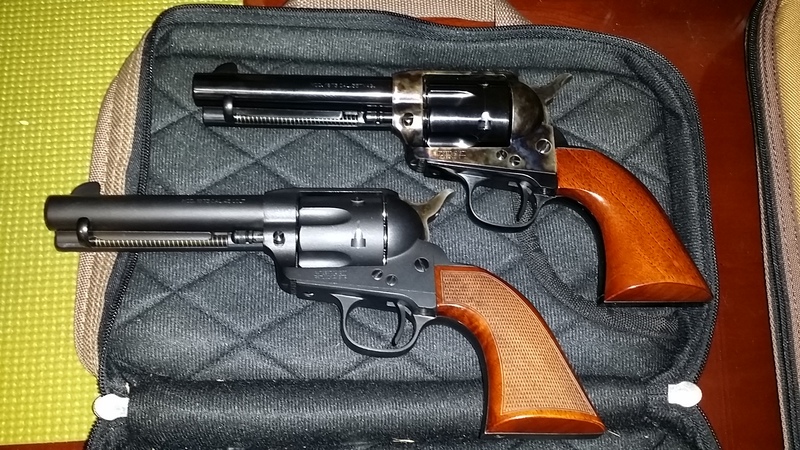 Slight thread re-direct: is anyone aware of a classic styled single action .45 Colt revolver with adjustable sights (other than the Ruger Blackhawk)? Tomray and Travlin like this. 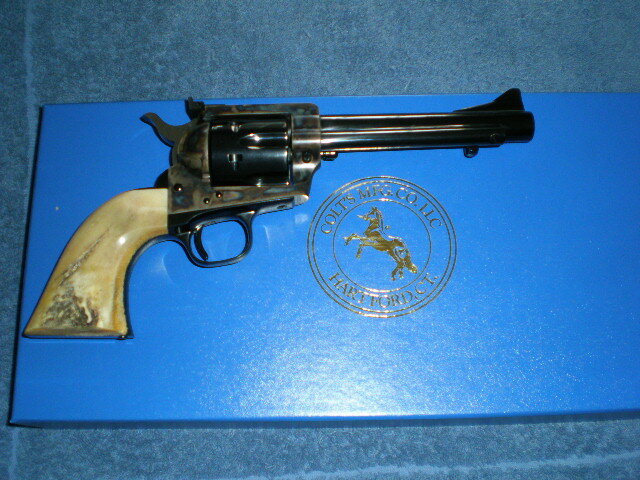 This is one I have in 45Colt. I also have one in 22lr. Not sure what other calibers you can find them in. I had been looking for one in 32-20, but never any luck. rob42049 and Land Cruiser like this. I own the Cattleman in 1873, too. Excellent in all respects. My first one came with a misaligned front sight blade. 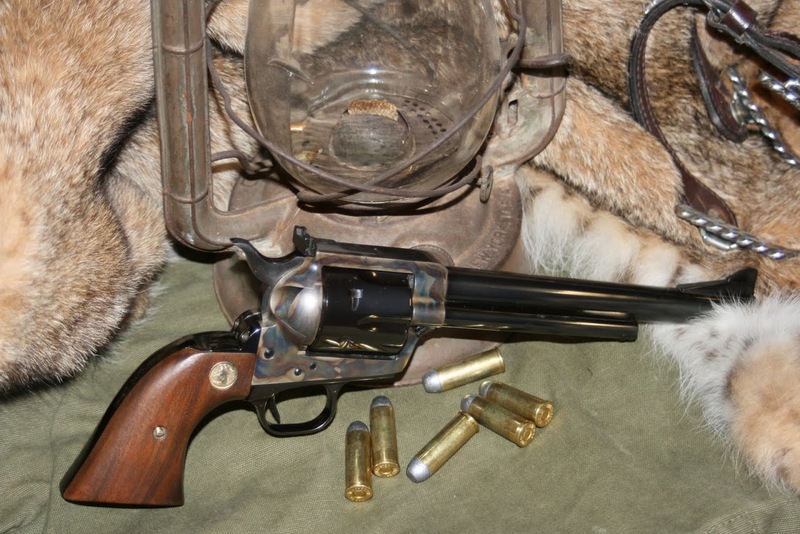 It took me awhile to figure out it was the gun and not my shooting, but Uberti replaced it with an excellent unit. Uberti is a good option. rob42049, flatsneck, M1Riflenut and 1 others like this. Looking at Uberti web site there is a Callahan Target model with adjustable sights. Travlin, Tomray and Land Cruiser like this. Now, looking at the Uberti catalog it is confusing on which models have the Retractable (floating) firing pin. I'd ask your dealer to make sure when ordering or taking delivery. rob42049 and Tomray like this. Curious as to what you are referring to? I don't like their current plywood grips, or their current finish......I never liked the BH front sights........I also think they have now become "price point" pistols. Nothing wrong with them, but I just want a better fit and finish. Last edited by Tomray; 04-13-2019 at 08:42 PM. edcknives, dhansen and M1Riflenut like this. Travlin, dhansen and Sweetwater like this. I have the same pistol, but with a 5 1/2" barrel...............They are becoming very pricey, now that Colt is no longer making them. edcknives and dhansen like this.